The hardest part of writing this post was trying to figure out a title. 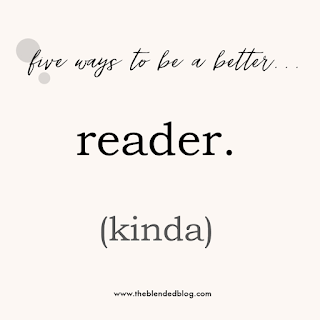 Because I am not really going to provide five ways to be a better reader. I would be the last librarian to write that post. 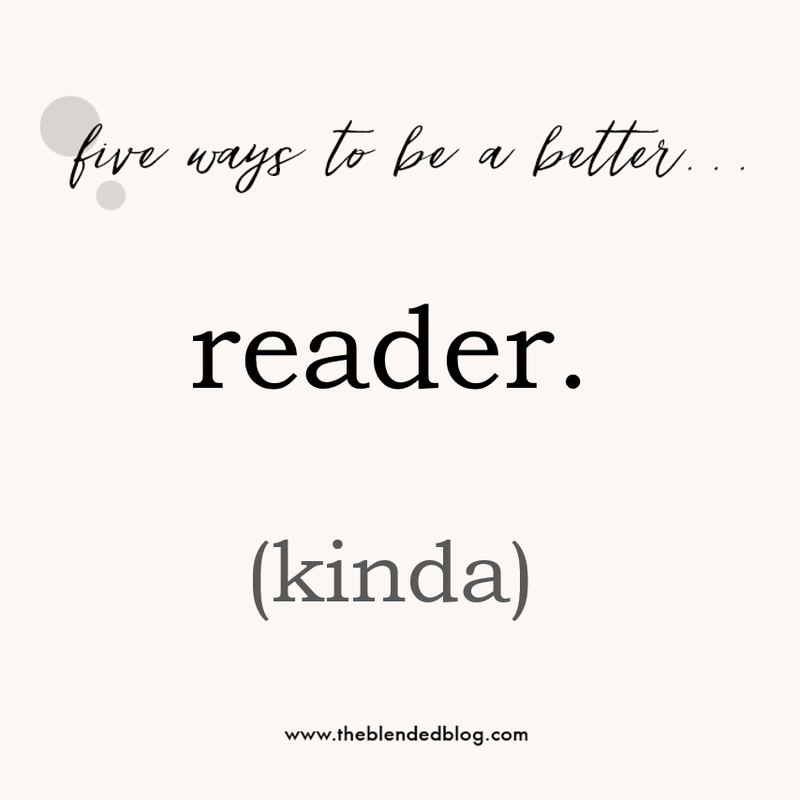 I am actually going to share five ways to make reading with your children more fun and successful. Couldn't figure out a way to say that concisely using the prompt. Sorry if I misled you, but glad you are here! I wanted to share some statistics with you that support the importance of reading with your children but everywhere I looked, the numbers were sadly outdated. Embarrassingly so. I should probably conduct some research myself on the value of reading to little ones. Here is one for you to reflect on, albeit very old, I am sure it still holds true. So, if we can all agree that reading with our children is vital to their academic success, no matter how old the statistics, here's how to make reading to little ones more fun. 1. Establish a regular time for reading and a comfortable place for reading with your child. I read with my girls in their bedrooms. When they were very small, we read in Brennyn's room one night and Lauren's room the next. As they got older, I read with them separately so each could have a little special time with mommy. We snuggled under the covers and pretended it was snowing outside and that we had heated bricks at the foot of the bed warming us up (from my mother's memories of her childhood). Try to look forward to this time, and build anticipation and excitement about reading. 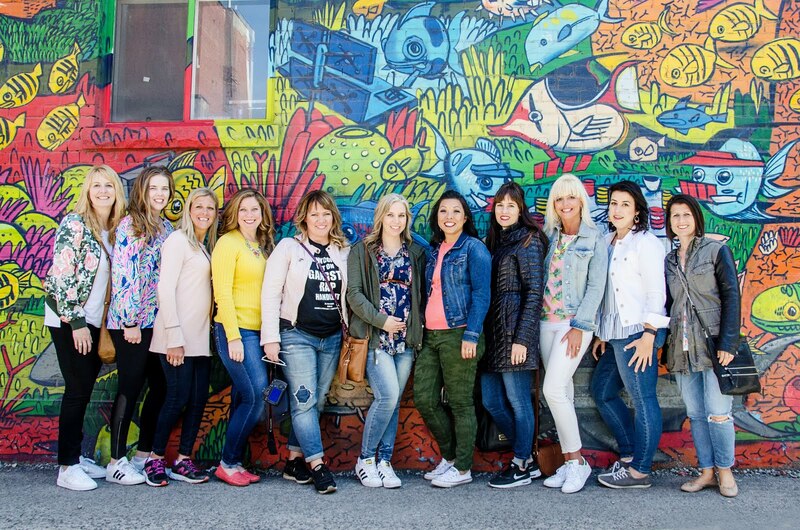 I know...I worked full-time in and out of the house when my daughters were growing up...I know mommies are tired! But reading with your child should be relaxing and fun! 2. Begin by talking about the cover and cover art. Read the title. Who is the author and what is the author's job? Who is the illustrator and what does she do? Ask your child to make a prediction as to what the book might be about. Who might the characters be? Where is the story set? Is this book probably fiction or nonfiction? Why? 3. There are lots of tricks to make the actual reading more fun. Read with a different voice or accent for each character. Add sound effects. A creaky door or a dog barking. If sounds are part of the story in the actual words written by the author, ask your child to "read" those sounds. For example, a bear roars or a mouse squeaks or lightning crashes (onomatopoeia), invite your child to say 'squeak' each time it is written on the page. If there are repetitive phrases in the book, suggest your child "read" those. Folk and fairy tales are great choices. "Run, run, run, as fast as you can; You can't catch me, I'm the Gingerbread Man". And "He huffed, and he puffed and he blew the house down". There are wonderful alternative or fractured versions of fairy tales available these days. Compare and contrast the traditional story with a fractured version. 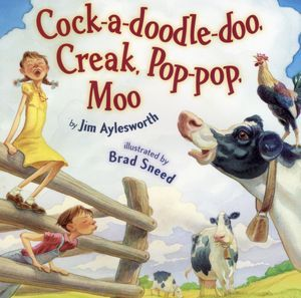 Select rhyming books and encourage your little one to "read" or say the rhyming word at the end of each line. Especially good for books you have read several times before. Dr. Seuss books, nursery rhymes. Many children's picture books have rhyming lines and young ones are great at figuring out the next rhyming word. Have your child read sight words as you come to them in the story. They have to pay better attention when they are expected to have to read their part. Invite them to read every THE or THEM or other sight words. Color words, numbers. This can really help children begin to differentiate between some of those tricky sight words that you just can't sound out right. Like WHO. Really? WHO? Shouldn't that be spelled HU? Hu made the rules for the English language? Hu? 4. Don't forget the illustrations. 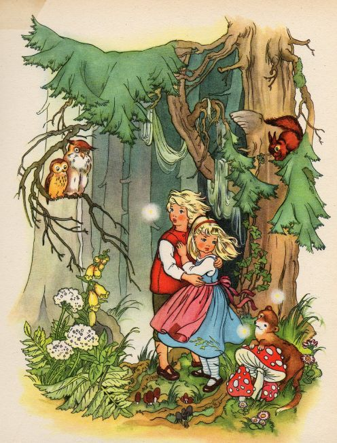 For many children (umm, like me) the illustrations are the best part of the story. I hated that we focused so much on the words and didn't give a lot of thought to the pictures. Jan Brett's books have beautiful illustrations that often contain details that predict what is going to happen next in the story. The Mitten by Jan Brett is a good example of this. If you look at the smaller images in the margins of page below, you can predict that the bear is the next animal that will try to snuggle into the mitten. Wordless picture books allow children to tell the story using their own language based solely on the illustrations. 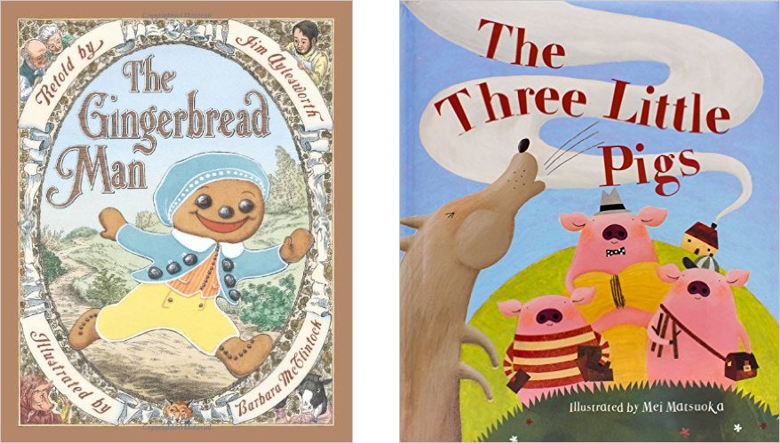 I love Pancakes for Breakfast by Tomie DePaola, The Red Book by Barbara Lehman and Flotsam by David Wiesner. Revisit the cover art once you have read the story. How does it represent the story? Is the cover taken from one of the illustrations within the book? 5. Talk about the book. Relate it to your child's world and life experiences. Remember when we made a gingerbread house? How did you feel that time you were lost for a moment in the store? Talk about the characters' feelings. Encourage your child to identify how the characters are feeling beyond 'happy' and 'sad'. Use this questioning to expand your baby's vocabulary. Is the character happy or ecstatic. Is the character sad or depressed or nervous or anxious. Question your little one about the book as you are reading. What might happen next? Why do you think the Gingerbread Man is running away? What would you do if you were lost in the forest? One of my daughters had some reading difficulties. I am not sure exactly what they were but we came up with lots of little strategies for her to use to make reading easier. These cues or devices helped her remember how to pronounce or spell words and helped her remember important facts and details. We talked about everything and had games for remembering all kinds of things to help her with reading. Review your original predictions about the book. Were they correct? What was the author's purpose for writing this book...to entertain, inform, to convince or persuade? Several days after reading a book, have your little one retell the story, or "read" the story to a stuffed animal or younger sibling. Remind them to think about what happened in the beginning, middle and end of the book. What was the problem in the book? How was the problem solved? I know that's five and I should stop right here but if you know me, you know I am wordy. Allow me to just add that your children should see you reading. There should be things to read in your home. Books, magazines, comic books. Reading before bed should become a ritual or having quiet time spent with a book in the afternoons could become a family affair. Give books as gifts, rewards, prizes. Visit book stores and your local library. Take books to Starbucks or your local coffee shop and spend time reading. Pack a picnic complete with KFC and books, even if you just spread a blanket on the floor at home. Read a book as a family...everyone reads a page. Finally, stop by my blog Once Upon a Time & Happily Ever After throughout the month of October for 31 days of children's book reviews and activities for some of my favorites. 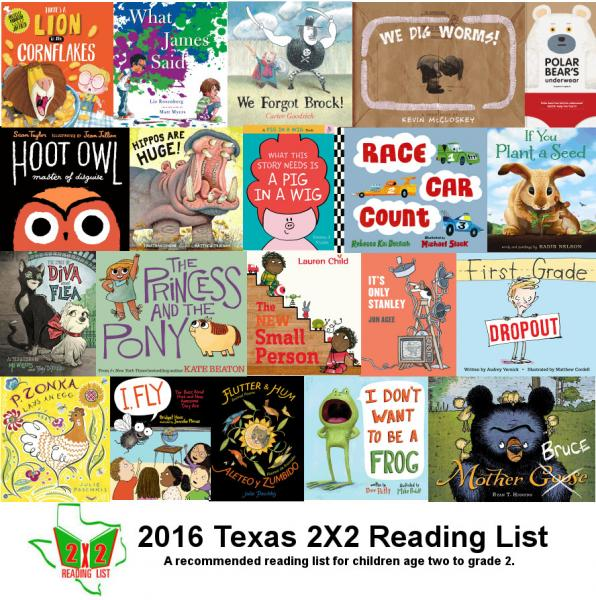 And check out these resources: Reading is Fundamental, Reading Rockets and Scholastic. 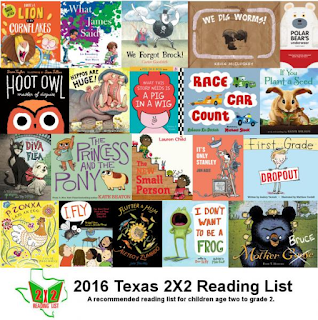 The books on the Master List for the Texas 2x2 Award are among the best picture books for children between the ages of 2 and grade 2. Check them out here. 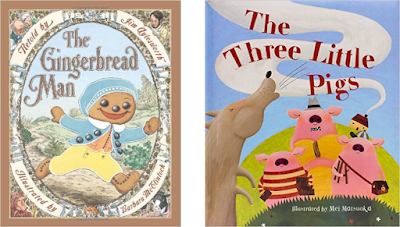 And finally, the Caldecott Award winning and honorable mention books are recognized for excellence in illustration. Learn more here. Thank you for joining me. I am passionate about children and books, together and apart. Hope these tips will be something you can use to encourage a love of books and reading in a child dear to you.